India is the land of full of festivals celebrated throughout the year. We are representing the Gujarat state of India where we celebrate Uttarayan (Kite flying), Holi (Play with colors), Krishna Janmashtami (Birthday celebration of lord Krishna), Id-Ul-Fitr, Mahatma Gandhi Jayanti (Birthday Celebration of M.K. Gandhi), Navratri (Night Dance Carnival), Diwali (Celebration with light and crackers), Muharram, Christmas (Celebration of Birth of Jesus Christ) and many small festivals too. In such diversity of culture foreign guests always get fresh impression of India at large. To overcome their doubts and allowed themselves to participate with Indian community, Vishvet Foundation is providing Volunteer Guide Services. Who may take these services and why? Vishvet Foundation inviting foreign students, teachers, business investors, social worker and Govt. officials to take our Human Interact Services to have safe stay & culturally stay in our state of Gujarat. It is our way of thanking all foreigners who are helping India specially Gujarat to grow by giving their inputs and services. * Historical monuments visit, participation in local community for festival celebration, visiting educational & government institutions, shopping of traditional items, city tour etc. * It is our volunteer service where our motto is to give a platform for local volunteers and foreign guests to interact with respect and make friendship between them. 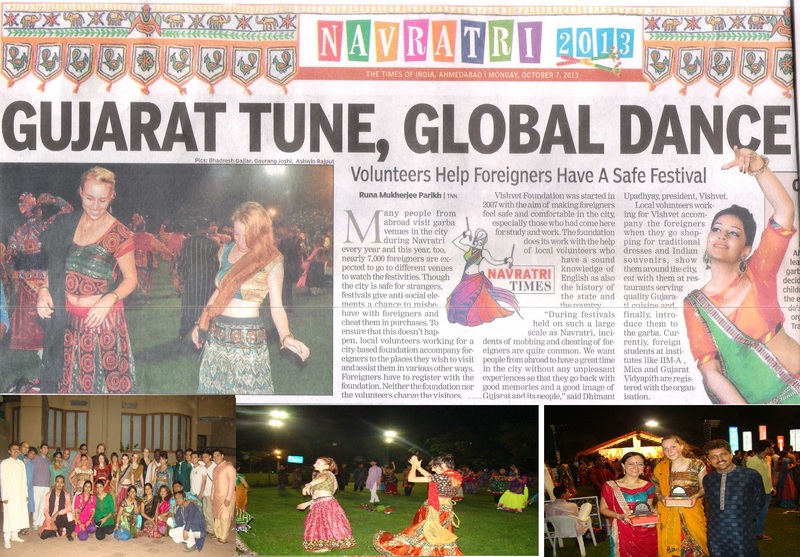 We are appealing everyone to create harmony in the world by encouraging volunteers and foreign guests to participate in Indian festivals in bigger number.